Designed by Groupe Finot, the Beneteau Oceanis 331 offers a sophisticated hull with traditional lines. A spacious cockpit, top-of-the-line deck hardware and a roller furling main accent her ease of handling. The 331 features lots of extras such as an optional retractable keel, standard refrigeration, improved ventilation and additional electronics. 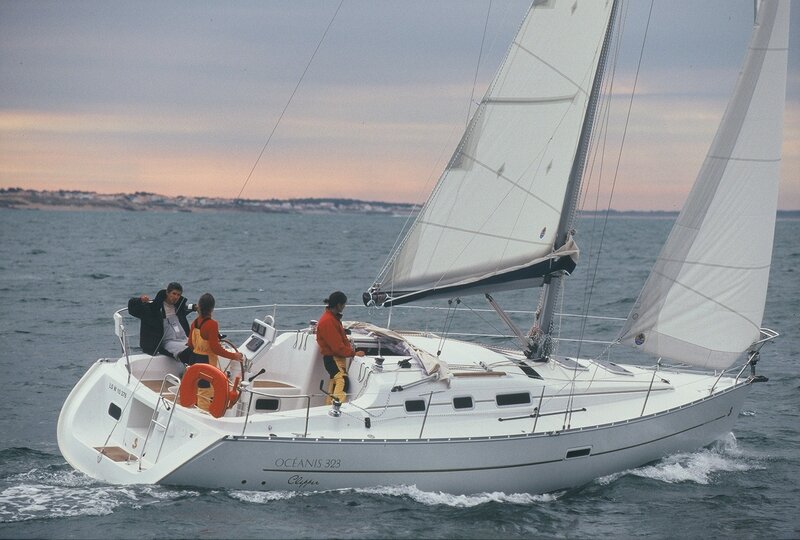 The Beneteau Oceanis 331 comfortably sleeps 4 people in 2 double cabins, one forward, one aft. Two single settee berths are also available in the salon area. There is one head with a shower located midship. For a yacht charter with style and comfort, we ideally recommend 4 people. The Beneteau Oceanis 331 has classic slab and roller reefing, one wheel steering and a electric anchor winch. There is a bimini and dodger, an ondeck shower and BBQ,AM/FM radio & CD player, fully equipped galley with LPG stove & oven, fridge/freezer, pre-charter cruising guides, full boat and chart briefing. Optional extras include an outboard engine for the tender, a skipper and a provisioning service.